In the last 3 years the Consumer Product Safety Commission (CSPC) has recalled 11 million Drop-Side cribs due to entrapment, suffocation and fall risks. 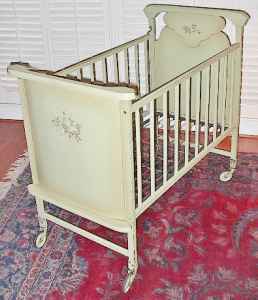 They make the claim that these cribs have been responsible for infant 32 deaths, ‘almost all of which resulted when a baby’s head or neck became entrapped after a malfunction of the drop-side crib mechanism’. On June 28, the Consumer Product Safety Commission will put new crib safety regulations into effect that not only prohibit the manufacture or sale—including resale—of traditional drop side cribs, but impose stricter guidelines for crib manufacturers. These new standards, will require that all cribs have fixed sides, and also require the slats to be made stronger to prevent breakage. Safety testing will be even more stringent in proving compliance. Crib manufacturers will have to meet these new standards or face possible mandatory recalls and civil penalties. These new mandatory standards, now gives the U. S. the most stringent crib standards in the world. After years of advocating by many consumer groups these standards were approved in December 2010 and today, June 28, 2011 they are in effect. This also applies to cribs used by hotels and childcare centers, although those organizations have been given an extension and won’t have to replace their cribs until December 28, 2012. What to do with used non complying cribs? Here is a statement from Freecycle one of our favorite ways of donating unwanted items. Yes, we are aware that not ALL cribs are illegal to sell. This new regulation refers to the “drop-side” cribs. We’re not asking you to dispose of cribs deemed “legal.” However, Freecycle will not be held responsible for ANY crib being posted, as we are not willing or able to go out and “police” anyone who’s trying to offer a crib on Freecycle, inspecting it to see if it’s the “drop-down” type or not. Therefore, our policy is simply NO CRIB POSTINGS. Please do not bombard the moderator team with your opinions on whether we should allow the posting of cribs, or how our ADMIN was worded, etc. We are simply protecting our site from any possible legal issues, for both your benefit and ours. The crib pictured at the top left side of the page is from the 1940’s. Can you spot the safety violations>? 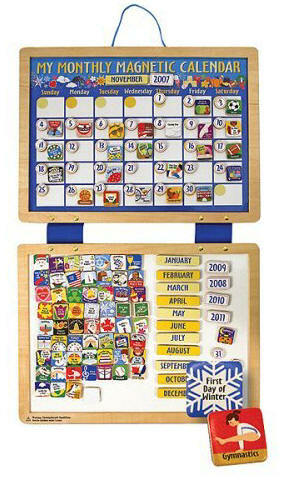 Get out your calendar and mark down some fun fall events at Totally Kids fun furniture & toys. Our Planning Committee shared their upcoming party and event dates. Four Legged Food Drive: August 1-27 we will be collecting dog food and supplies for The Pet Project. With your donation you will receive 10% OFF your choice of anything online or in the showroom plus you will be entered in a raffle for a $25.00 Totally Kids Gift Card. Doggie Ice Cream Social August 27 Bring your pooch in and sample some locally made dog treats, learn about local doggy spas and see some of the latest and greatest handmade gifts for canines. Treats and games for human folk too! Hallow-Green Costume Exchange Party October 8 The Totally Kids Hallo-Green Costume Exchange is a fun way to begin an echo-friendly lesson for your children, plus a great way to find the perfect Halloween costume for girls, boys and even dogs. Start bringing in your gently used Halloween costumes now! Exchanging old Halloween costumes is the most creative, eco-friendly ways to find the perfect costume for girls, boys even dogs. Wag O Ween Party October 22 Calling all dogs! Bring your people down to the Totally Kids Wag O Ween Party. All Costumed Families with Their Costumed Pets will Receive a FREE $5.00 Gift Card! Free Professional Photographer for Furry Family Fotos. Hot Cider, Treats, Dog Biscuits, Games & Prizes for the Whole Family! No Tail Wagging Pets? No Problem! Bring Your Favorite Stuffed Animal and Dress Up. Sweet Dreams ~ Warm Beds November 1-31st. Bring in your unwanted furniture and household goods to help fill a semi trailer for Bridging. Tax receipts will be provided. Neighborhood Toy Store Day November 12 Visit and have pictures taken with our secret fairy who will be making a guest appearance. Test toys, play games, pre-school storytime reading at 1 P.M., make your own music, get your face painted and enjoy juice and animal crackers while you play. One potato, two, that’s all it takes to build a clock for you. You may know potatoes as a good source of potassium, but did you know they can be used to power an alarm clock? Try this Science Saturday educational kit containing a digital clock and the instructions and everything you need (minus the spuds) to run it. It is Take Your Dog to Work Day. Is your pooch helping you at work today? Our Shop Dog, Higgins comes to work every day. Last August Sidewalk Dog featured Higgins. Sidewalk Dog: Can you give us some background on your store? Annie Seberson: Kay (my mother) is an interior designer specializing in children’s rooms and decided that opening a retail store would showcase fun and interesting products making them available to many more people. We are a woman-owned, mother/daughter team. We love what we do and have been serving the Minneapolis area since 1983. SD: Tell us about Higgins. How did she come into your life? AS: Higgins is a black and tan Cavalier King Charles Spaniel. She is 2 ½ years old. In 2008, my mother and I were having coffee at Starbucks and saw two Cavaliers cuddling with their owner on a bench on the sidewalk. We had never seen that breed before and were so impressed with their markings and disposition; we just had to get one. Higgins loves hiking and cuddling with anybody, anywhere, anytime. She especially loves a tummy rub. SD: How long has Totally Kids had a shop dog? AS: We have had a shop dog for nine years. Before Higgins, there was Cinder. 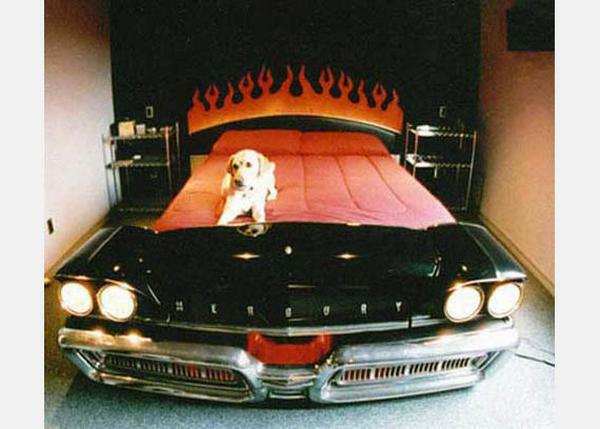 Cinder was a mild-mannered, people-loving golden retriever belonging to an employee, Bob. Bob brought Cinder to work everyday for seven years. Cinder is now in doggy heaven. SD: Do you let other dogs in your shop? AS: Dogs are always welcome; we have doggie treats and a water bowl. Higgins likes to share. SD: How does Higgins react to the customers? How do the customers react to her? AS: Higgins loves everyone. Many of our customers are children and they are always excited to see Higgins. Our staff are all enthusiastic dog lovers with pictures of their pups on their computers as screen-savers and pinned to the walls in the office. 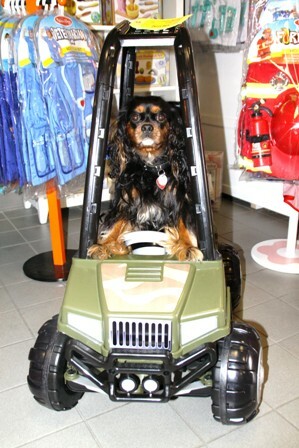 Higgins is the inspiration behind a Halloween costume party for dogs called “Wag-o-ween” that we host in October. SD: What do you like about having a shop dog? Are there any frustrating moments? AS: There has not been one frustrating moment with having a shop dog. I think everyone needs a shop dog. They bring joy, entertainment, and warmth to the work environment. SD: Do you think having a shop dog draws people to patronize your store? AS: Yes, I think people like being greeted by a friendly, fluffy, tail-wagging little dog. Summer officially arrives at 1:16 P.M. ET today. It is the beginning of the summer solstice and the longest day of the year in the Northern Hemisphere. The summer solstice is a result of the Earth’s north-south axis being tilted 23.4 degrees relative to the sun. The tilt causes different amounts of sunlight to reach different regions of the planet. Today the North Pole is tipped more toward the sun than on any other day of 2011. Kick off your summer with a game of croquet. This delightfully buggy version of the classic game is guaranteed fun for the entire family. 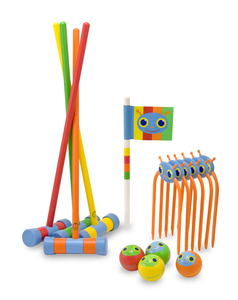 Unpack the carrying case, set up the wickets and goal stake, and you are ready to play croquet! While you’re goin’ buggy, how about whipping up some ants on a log? An easy kid friendly recipe calling for just 3 ingredients. Wash the celery and cut it into pieces about 5 inches long. 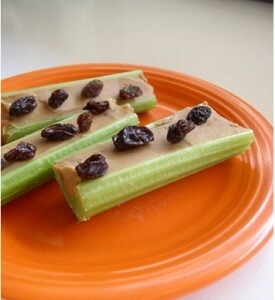 Spread the peanut butter over the entire length of the celery and invite the ants (raisins) to march one by one on top. Make your own PlayDough recipe. First thing is to mix all dry ingredients together in a medium pot. Add the oil and water into the dry mixture. Cook over medium heat, and be sure to stir constantly. Keep stirring until you get a consistency close to that of mashed potatoes. Remove from heat and add vanilla. If you want the playdough to be all one color, then you can add the food coloring now, and knead it into the dough until it is all a consistent color. 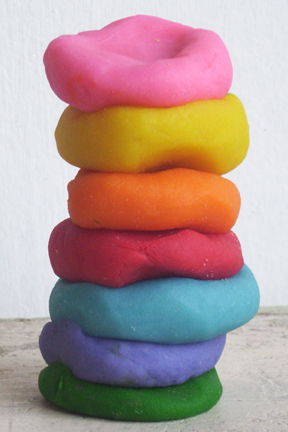 However, this recipe makes a lot of playdough and I find it fun to create a few different colors. So if you like a little variety then divide the playdough into separate balls and work in the food coloring of your choice into each different ball. Get creative and have fun with it. You can even let the kids join in on the fun, so they not only have a blast with the finished playdough but they have fun making it too! When adding food coloring it is definitely worth it to use some cheap disposable gloves so your hands do not get stained. A little food coloring goes a long way! In fact a little trick is to dip a toothpick in the food coloring bottle and then puncture a hole in the playdough ball. You can repeat a few times throughout the ball until getting the desired color in it and then knead the color to consistency. Store the playdough in a Ziploc baggy or a covered container and it should keep for a couple weeks. If you start to see a little sweat build up in the baggy or the container just add a little flour. We wish all Fathers near and far and very happy Father’s Day. The idea for Father’s Day came to Sonora Dodd of Spokane, WA, while she listened to a Mother’s Day sermon in 1909. Sonora wanted a special day to honor her father, William Smart, a widowed Civil War veteran and farmer who raised six children on his own after their mother died during childbirth. She petitioned the city of Spokane, asking for her father’s birthday, June 5, to be set aside as a special day, but instead the mayor settled upon the third Sunday in June, the month of her father, William Smart’s birth. 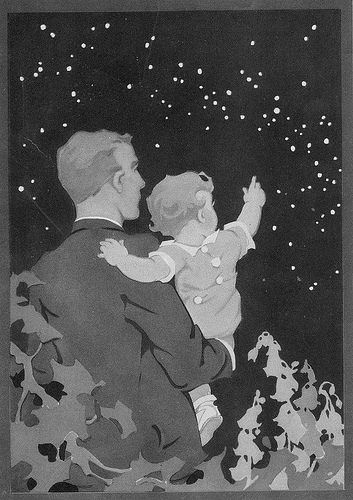 The first Father’s Day was celebrated in Spokane in 1910, and in 1916 then-President Woodrow Wilson attended a Father’s Day celebration there. Fifty years later, President Lyndon B. Johnson signed a proclamation declaring the third Sunday in June as Father’s Day, and in 1972 President Richard Nixon signed a public law that made it a permanent day of national observance. There are more collect calls on Father’s Day than any other day of the year with an estimated $1 billion is spent each year in the United States for Father’s Day gifts, but Dad is still footing the bill when it comes to phone calls from the kids.Father’s Day ranks number one for the day that the most collect calls are made, according to AT&T. Dads receive far fewer greeting cards than moms. About 140 million moms receive cards for Mother’s Day, compared to just 90 million dads getting Father’s Day cards. After last winter’s travels in Asia finding a plethora of unique to us items, we are sharing another product for your review and comments. It appears that Japanese shoppers have this carton of Mother’s milk available for purchase in their markets. Unable to read Japanese, it therefore remains unclear to us whether this is truly human breast milk or possibly a simulated version. Anyone who can verify what is written on the container, please do let us know. Remember last March the Icecreamist in London was selling Baby Gaga ice cream made from human breast milk?